Making your website fast is one of the most crucial things any website owner can do to increase their success. Not only does it improve SEO scores significantly, it leads to better user experiences, an increase in traffic, and lower bounce rates. And, with more time spent on your website by site visitors, you are sure to have more conversions than ever before. 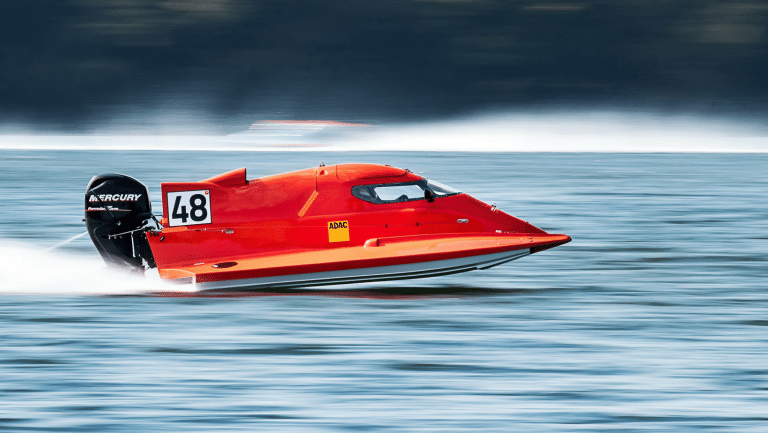 But how do you go about making your website super-fast? Though the answer to this is not always easy, there is a solution that everyone can (and should) take advantage of. I am talking about website caching. In short, website caching is the process of allowing your website’s server to store your web page’s HTML file and serve that saved “memory” to every site visitor that clicks on your website. An HTML file is the end-result after a visitor makes a request to view your website. You know, the part they see when looking at their screen? After a site visitor sends the initial request to see your website, the request is then processed on your server, transformed into a readable HTML file, and then delivered to your reader for viewing. By saving and serving that HTML file to every site visitor that comes to your website, your server does a heck of a lot less work and can deliver your site’s pages quicker than ever. If this sounds like something that you want your website to do, I suggest you read on to find out how using the comprehensive caching plugin Powered Cache can help you do just that. Powered Cache is one of the industry’s newest WordPress caching plugins designed to make your website load faster than ever and make your site visitors happier than ever. After all, no one like to wait for website pages to load. And, if a site visitor feels your website loads too slowly, you can be sure they will click the back button in an instant. But that’s not all. This is just the beginning when it comes to what Powered Cache’s developers claim to be the best caching plugin available on the market today. Installing and activating the free version of Powered Cache is very straightforward. Simply navigate to Plugins > Add New and search for “Powered Cache” in the search box. Next, select Install Now and then click Activate. Powered Cache is now ready for use. 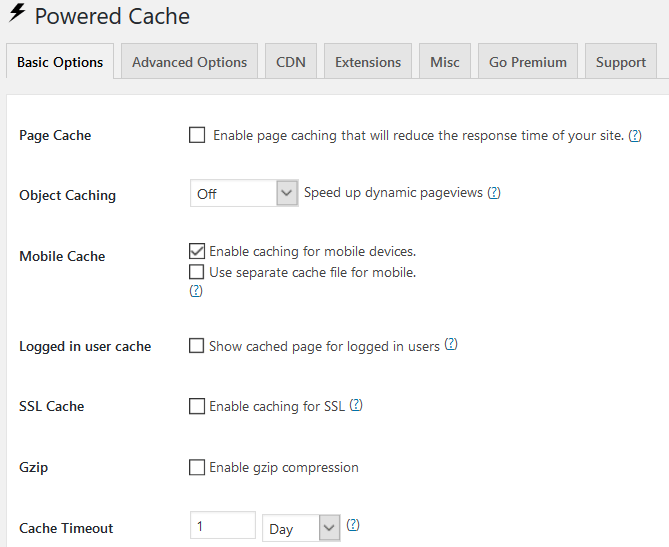 To configure what little settings Powered Cache has, start by navigating to Powered Cache in your WordPress dashboard. You will immediately see a screen where you can define all of the plugin’s settings. Under Basic Options enable page and object caching on your website, use a separate cache file for mobile devices, and show a cached page for any logged in user. Plus, enable caching of SSL pages, allow for Gzip compression, and determine the cache timeout time interval. Advanced Options. Here you can determine whether or not to deliver cached pages to specific user agents. You can also ignore specific cookies, exclude certain pages from caching, define allowed query strings, and purge additional pages as you see fit. CDN. If you use a CDN on your website to deliver pages to your site visitors, enable CDN support here so Powered Cache works properly with it. Extensions. Activate any number of built-in extensions. Misc. Show a cache status message in the footer area, clear your cache, download a configuration file for your server, reset all settings, and export or import settings. Go Premium. See some of the exclusive features included in the premium version of Powered Cache and upgrade if you want. Support. Receive Powered Cache support if you are using the premium version of the plugin, directly from your WordPress dashboard. And that’s it. As you can see, Powered Cache is simple to set up and configure for use. Powered Cache comes with several built-in extensions to extend the functionality of your caching plugin. 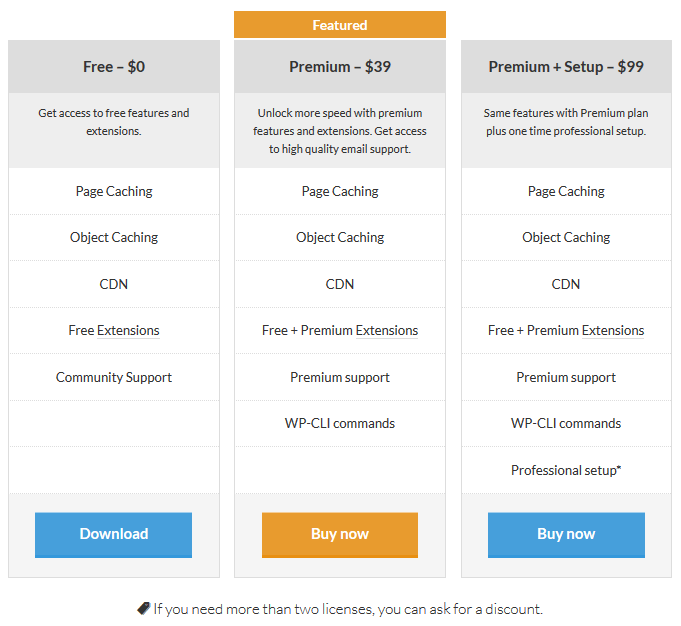 Some extensions are available to all users, even those utilizing the free version of Powered Cache, while some require a premium plugin version to take advantage of. Available to all Powered Cache users, this extension provides Powered Cache and Cloudflare compatibility. With flexible SSL support, you no longer have to deal with the infinity redirect issue. In addition, you can easily purge your Cloudflare cache using this extension. By default, WP-Cron executes once someone visits your website. This may have a negative affect on your website’s performance, despite having a caching plugin. This extension allows Powered Cache’s own Cron Bot to frequently execute wp-cron.php. 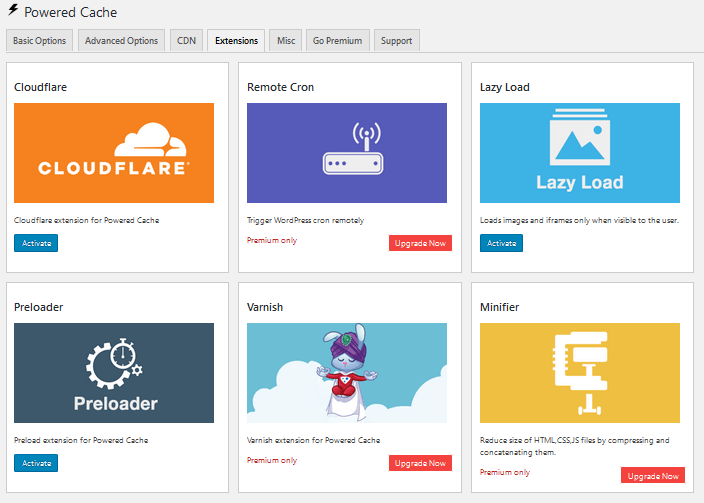 Free to all Powered Cache users, the Lazy Loading extension adds lazy load functionality to your website so only things that need loading will load, rather then everything downloading all at once and slowing your website down. Enable lazy loading for post content, images, iframes, widgets, post thumbnails, and avatars. Also available to all Powered Cache users, the preloader is one of Powered Cache’s most significant features. Improving onload time, and thus user experience and search engine results, this extension lets you determine how many posts to preload at a time, set a preload interval, and start a preload process manually. For those with the premium version of Powered Cache, you also get to enjoy the Preload Bot which creates a cache by simulating your user’s behavior. Varish HTTP Purge sends a purge request to the URL of a post or page every time it is modified. This way your website’s cache is always up to date with the latest website changes. Editing, publishing, commenting, deleting an item, or changing a theme will initiate the purge request. Reducing the size of your HTML, CSS, and JS files by compressing and concatenating them will make your website load faster than ever. 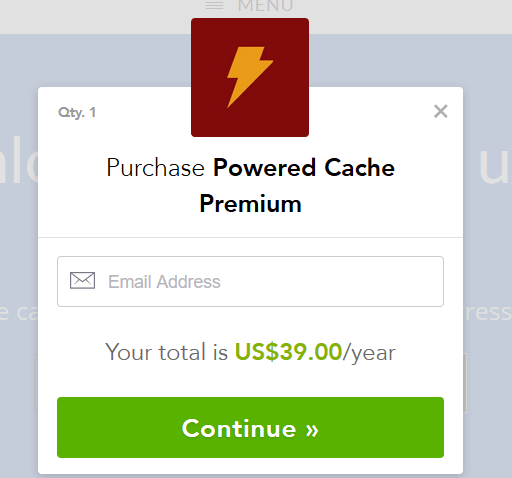 Upgrading to the premium version of Powered Cache is also something the plugin developers wanted to make simple and effortless for interested users. Click on the “Upgrade Now” button, the “Get Premium” button, and immediately see a box requesting your email, complete with a price total for the premium plugin purchase. After entering your email, click on “Continue”, answer a question regarding your location, and then enter your payment information. Additionally, if you have a coupon code, select “Add Coupon” and enter the details. From there you will be prompted to Pay Now or pay via PayPal. After securing payment, you will receive a few emails regarding your purchase. One is a receipt, one is your license key information and download link for the plugin, and the last one is information regarding your account details including your username and password. In your account, you can view your plugin’s license key, status and expiration date, payment information, and download information. You also have the option to cancel your subscription since the premium version of Powered Cache is billed annually starting at $39/year. For those who need help using their Powered Cache plugin, there is an extensive Knowledge Base available with plenty of documentation to help, as well as an updated blog for additional caching information. Getting support as a premium Powered Cache user is easy whether you access it in your WordPress dashboard or on the Powered Cache website. Simply fill out the contact form with your information and someone will get back to you as soon as possible. In the end, Powered Cache is a promising caching plugin that allows website owners with varied needs, and budgets, to reap the benefits of caching their website’s data and serving up quick web pages to their site visitors. Plus, as an added bonus, the team at Powered Cache recently updated their support policy to include high priority support, for both premium and free users, in the event you experience the white screen of death when activating Powered Cache on your website. No matter the reason your website crashes, you are guaranteed premium support in fixing this problem. If you run a WordPress website and are looking for a simple way to boost your site’s speed and performance, improve your SEO efforts, and of course, are looking for ways to make your site visitors’ experience the best it can be, I would recommend checking out how Powered Cache works for you. Have you ever used Powered Cache for you website caching needs? If so, I would love to hear all about it in the comments below!